Our family is committed to caring for your family regardless of race or religion. We provide attentive, compassionate service from the first phone call until long after the funeral is over. We are a full facility funeral home with arrangement office, chapel, reception area, casket & urn displays, providing traditional, non-traditional & memorial services & prearrangement plans. We are able to provide the most elaborate funeral service to the simplest graveside ceremony, the most unusual memorial service, to the most basic cremation. We offer many choices for meaningful remembrance, with funeral services appropriate to every faith and every culture. 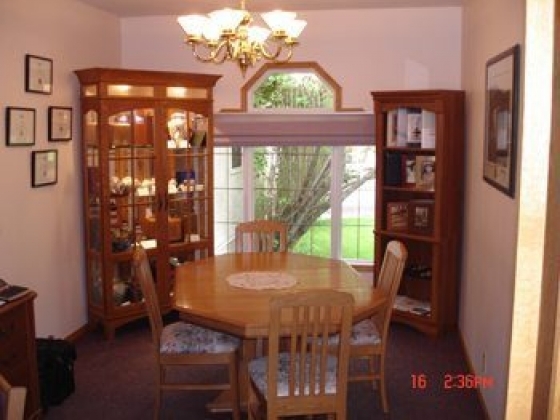 Upon request we will make arrangements in the comfort of your home. We will help you plan a service, assist you with the many choices and provide support for you and your loved ones in your time of grief. We know every family is unique, and we strive to help you make each service a personal tribute. Religious and cultural traditions, personal preferences and cost concerns make each funeral as unique as the person who is being honored. Our funeral directors will work with you to plan the perfect service. We'll help you with the many options and details that will make it a personal, lasting tribute to your loved one. Our library offers many texts for the entire family and is only one of the ways we support your family in time of grief. Planning ahead is one of the most considerate and compassionate things you can do for your family. You can spare them the burden of having to make complex arrangements at a most difficult time. Consult with us at any time about your wishes. A part of our support for those in grief, we have a program that includes a series of 4 books writing by Doug Manning that we mail to those who have lost their spouse, child or anyone who is suffering extreme grief due to the death of a loved one. These books deal with the many phases of grief. We also have small pamphlets that deal with the "The First Days of Grief", "Estate Planning", "Why We Have A Funeral", and coping with death by different members of the family, i.e. the spouse, siblings. We are also a part of a program "Lift Up Thine Eyes. This is a book that is sent to the family of a deceased person. The book is supported by various businesses in the town. It is sent to the family in memory of their loved one at no cost to the family. A traditional funeral is a funeral where the deceased is present for the service followed by either burial in a cemetery or cremation. A non-traditional funeral is a funeral that meets the needs of different ethnic groups such as the First Nations people. A memorial service is a funeral where the deceased in not present because burial or cremation has taken place before the actual service. Sometimes this type of service would be called a "Service of Remembrance" or "A Celebration of Life". Cremation is the disposition of a deceased person by burning of the body in a special retort built for that purpose. A cremation can take place following a funeral service or before a service. The ashes can then be buried, scattered or kept at home. 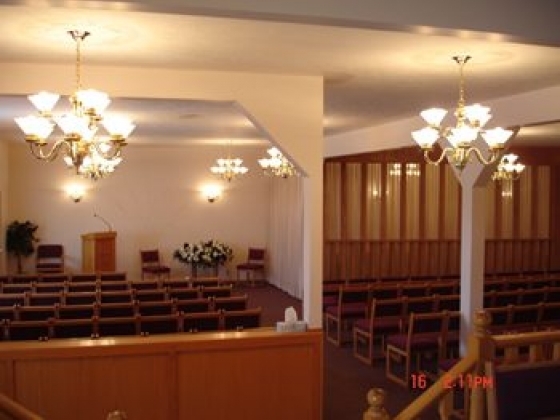 All cremations take place at the Rocky Mountain Crematorium, which is part of the funeral home building. 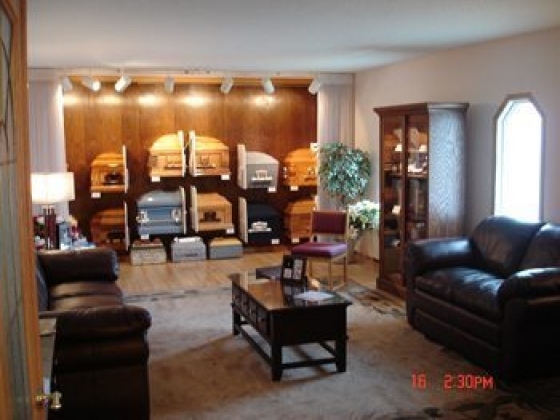 With our recent expansion, we are able to provide for funeral receptions up to 150 plus people. We can arrange for the food or you can have your own caterer. "Thumbies" are impressions of the deceased's thumb that are taken and then manufactured into gold or silver charms and other jewelry. They are one way to immortalize a loved one. Monuments are another way to remember a loved one. They are available in various sizes, shapes and colors. We can do a computerized rendering of a monument upon request. Have questions about funerals & cremation? We invite you to come in & discuss them with us at no cost or obligation. 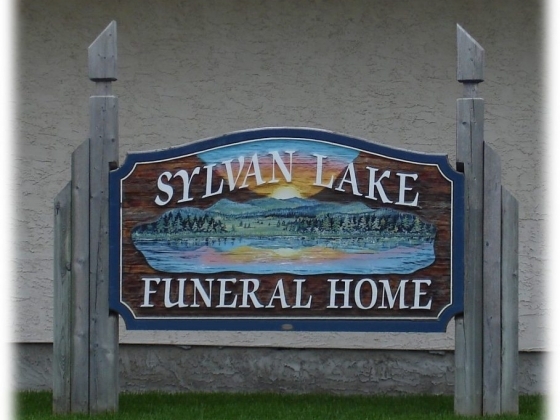 Owned & operated by Flinn Funeral Services Ltd.